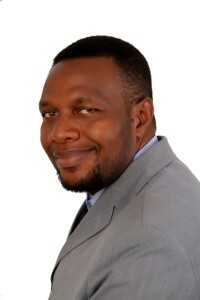 Kalu Igwe Kalu is a world renowned Marriage Mender and Bestselling Author of the inspirational books Marriage is Beautiful, a book that unveils to readers the beauty of marriage, and the stimulating how-to-guide to unlocking your purpose titled, Pursue Your Passion: How to Take Charge of Your Life and Be Happy with What You Have Gotten. Kalu’s mother gave birth to eight children; three boys and five girls. Born on March 16, 1975 in Aba, Nigeria, Kalu was the second born child and the first son born to Chief Igwe Kalu and Elder Chinvere Igwe. Kalu discovered at a very young age how to be content with life’s circumstances while simultaneously pursuing his life’s purpose. Determined to be obedient and committed to God’s plans for his life, Kalu enrolled at the University of Caloabar to study Economics and graduated with highest honors. Upon completing his degree, Kalu experienced God’s faithfulness and was selected to study at the prestigious Living Word Training Center in Nigeria. Kalu met the love his life and future wife, Monique in April 2004, and they were married five years later. Today, they are blessed with three young sons Ihechi, Kelechi and Chimdiebube and reside in Nigeria where Kalu ministers at Kingdom Lambs Ministries. After many successful years of marriage, Kalu witnessed an increasing demand for his relationship advice, premarital counseling, marriage counseling, and life coaching from individuals across the world. In 2013, Kalu founded the Marriage is Beautiful Foundation and Upper Room Publishers Nigeria after declaring he would use his words to bless people, particularly married couples – facing relationship challenges. He speaks favor and victory daily to over 4.3 million online followers and calls out their seeds of greatness. Kalu encourages us not to use our words to describe our situations, however use our words to change our situations whether we’re single or married. Kalu has served as a lead marriage counselor for over 14,000 couples, performing in various capacities and addressing real-world relationship problems by applying proven methodologies to achieve love and happiness. The good news is that our relationships can be transformed into the nurturing environment we each desire through God’s intervention and counseling. Kalu believes that we must first examine ourselves if we want to be influential in our relationships. This awareness will open the ability to communicate effectively, inspire acceptance and forgiveness, and ultimately lead to a strong partnership. Kalu offers free online resources that can be accessed at www.beautifulmarriages.com and download the 2014 Marriage Report: The Game Changer in Your Marriage. To learn more about free marriage counseling, Kalu’s life empowerment books and to connect with Kalu online, please visit www.facebook.com/beautifulmarriages.